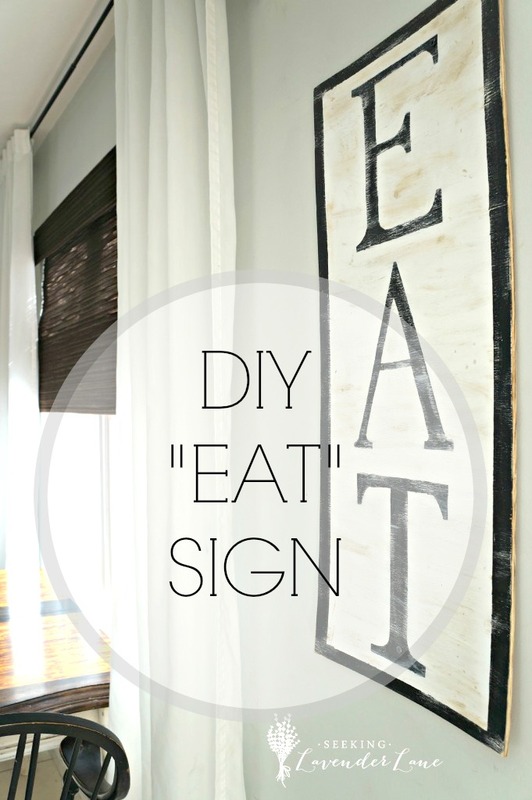 I love a great DIY project that’s easy. Especially with the changing seasons, being able to create something that doesn’t cost a lot but can help add pretty seasonal touches. 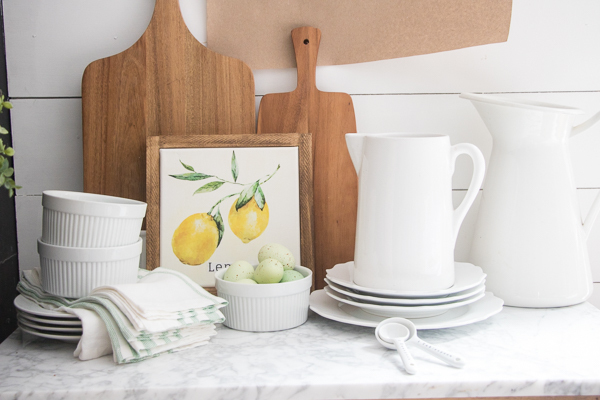 This project was actually inspired by the Country Living Fair in Rhinebeck this June. I will be doing a workshop there and I needed to create a project that could be done at the make and take event. 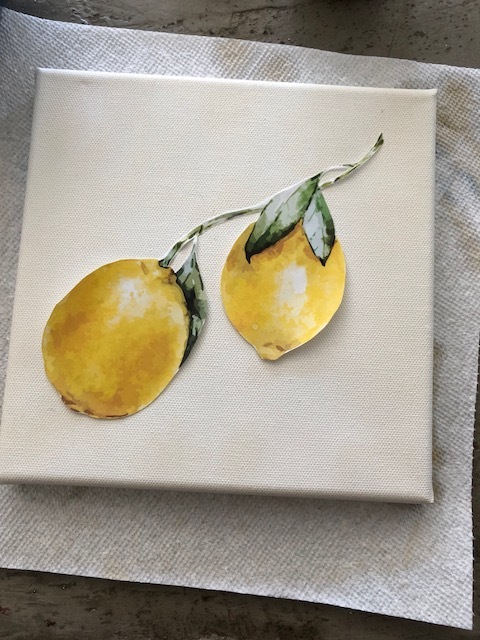 For some reason, lemon’s were on my brain and I decided to create some pretty lemon art. 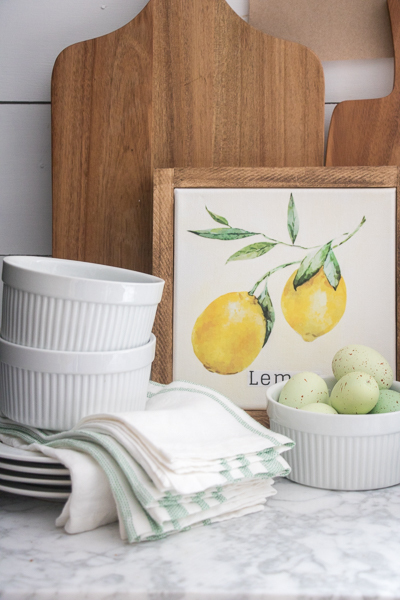 I think it adds that cheerful spring/summer vibe to a shelf or wall and you could totally make this with other photos or sizes. 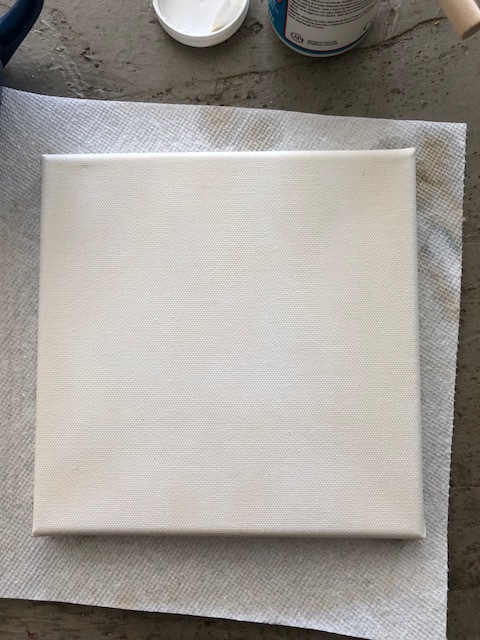 Make some tea (2 bags) to start to tea-stain your canvas board. 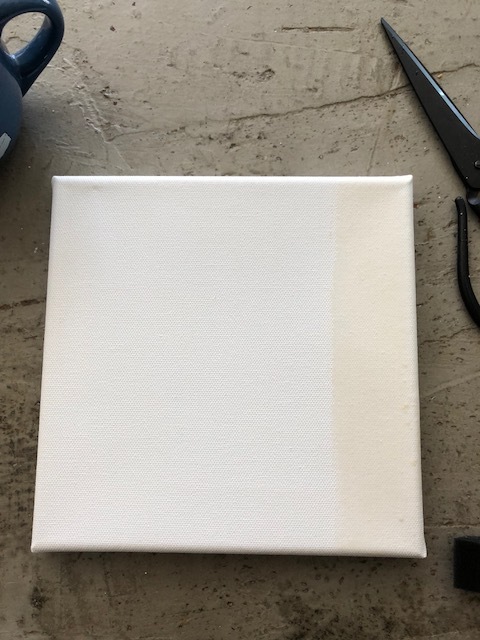 Let dry and blot slightly before next step. 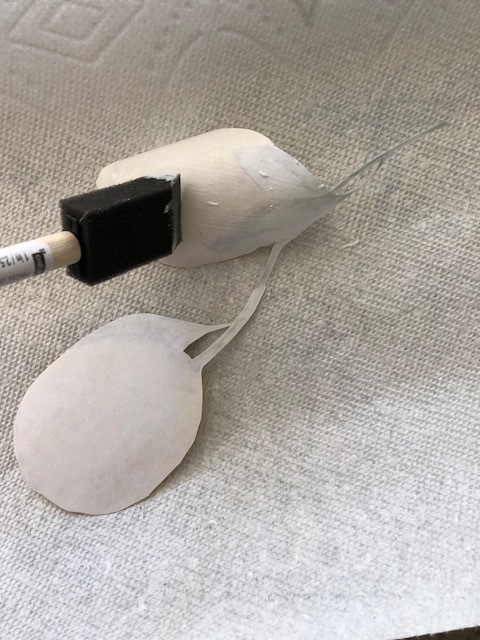 Add mod podge to the back of the print with a foam brush. 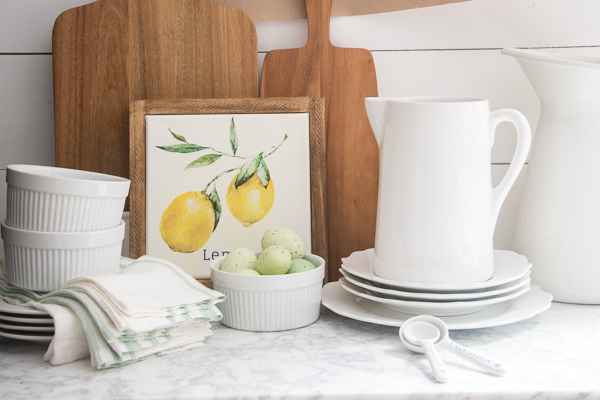 Paste to Canvas and cover with another layer of mod podge. 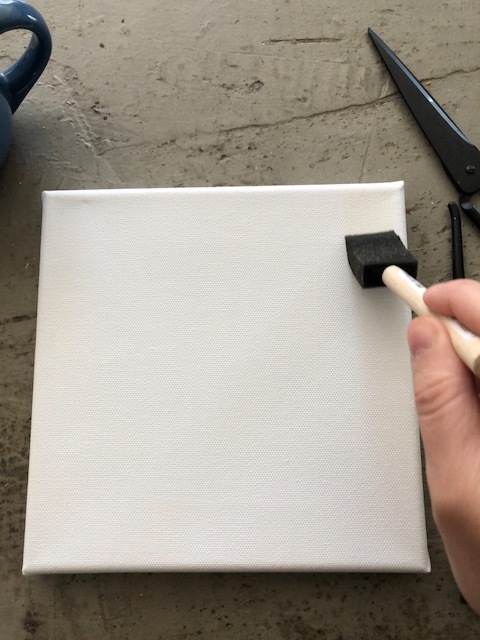 Add another thin layer over the print to secure it to the canvas. 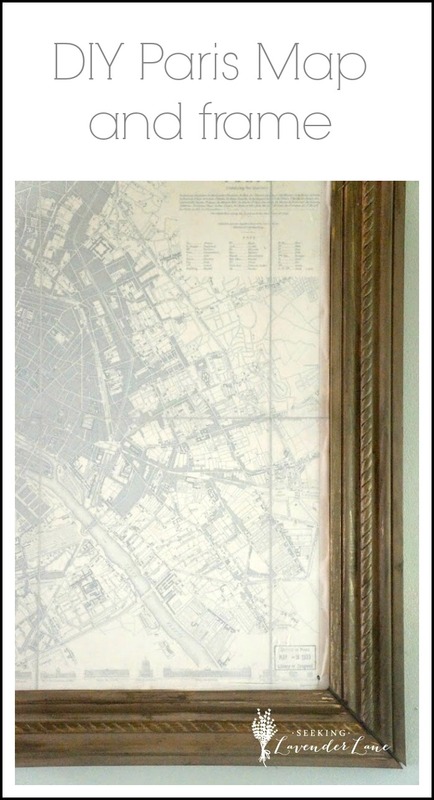 Wax the frame or stain and once dry slide canvas through. 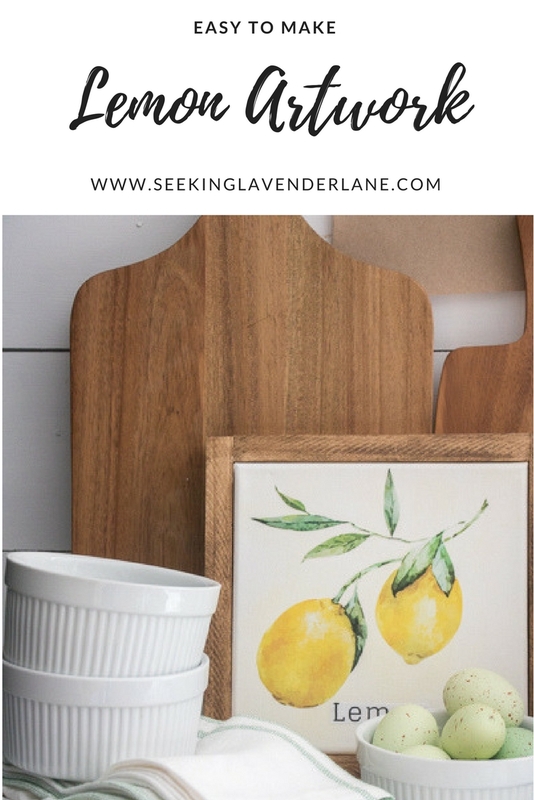 That easy, then ad to your kitchen or shelf and enjoy this adorable lemon artwork for Spring and Summer. 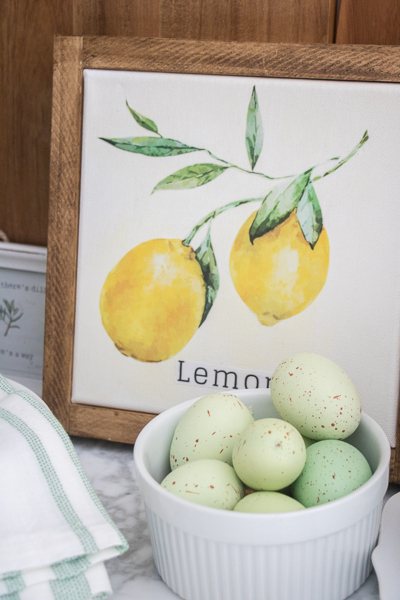 I also shared more lemon decorating ideas on the blog here. Deb… What FUN !! I like it. An ART project I can do !! AND the different variety of fruits/flowers/greens are endless !! tHAnK yOu !! HAPPY EASTER? Thanks Linda! Yes, absolutely!!! I plan on making some with botanical prints too! Absolutely beautiful, wouldn’t change a thing. Looking forward to the next reveal. I love everything you post. It’s clean and refreshing. 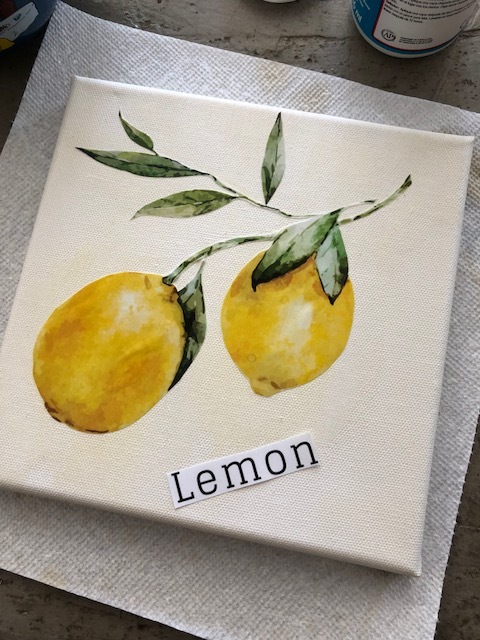 I’m going to try this lemon canvas project with my girls this weekend. We are moving soon,might be a good project to get them excited about moving. 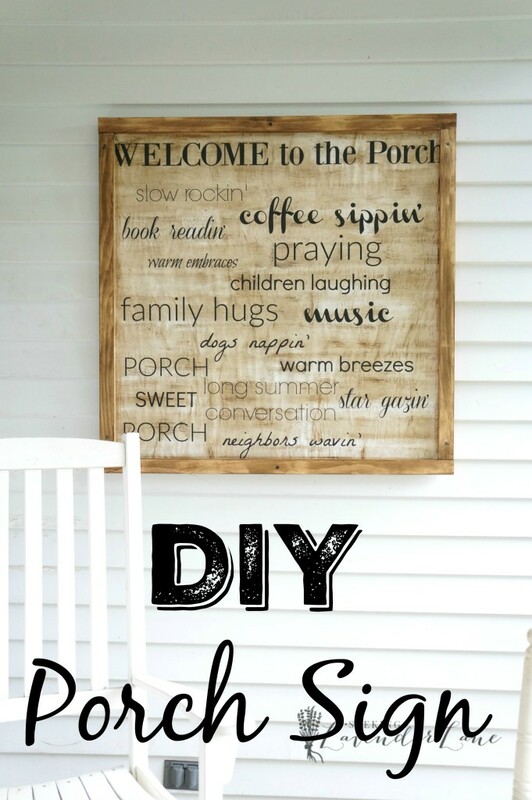 Very cute and easy too Deb! Why not do this with different herbs and use those above herbs and spices. It would look quıte amazing, with white, yellow tones and shades of green.